As the People of Berkeley, we need to work together to build a better community. Through an awareness of the issues and concerns of the people that live and work here, we can implement positive action. I have listed a few ideas and suggestions, over time we plan to list more of your concerns. Here are some action items that should be looked at in improving Berkeley's 4th District. These suggestions should be examine closely in the context of cost benefit analysis. Our city can support citizen participation by providing transparency and accountability in government. Political contributions can be monitored at Maplight.org Maplight is a local organization located on Shattuck Ave. in downtown area. As the Berkeley City races progress additional postings will be made. 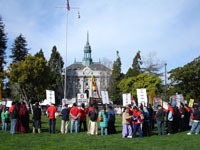 Berkeley's zip code 94703 is considered the hottest real estate market in the country. On the road to public office it is often important to be well connected. 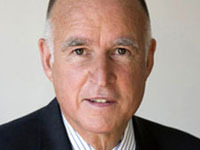 I got to know Jerry Brown when he invested in YellowGiant an Internet company I co-founded. He would come to our Oakland office and ask to see what we were working on. He is always full of ideas. 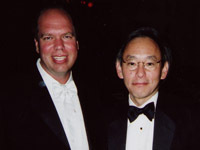 Steven Chu is our former LBNL director and he is currently serving as the Secretary of Energy. I enjoyed our discussions on energy efficiency and new evolving systems. My favorite quote of his is "Fusion energy is always just 50 years away." 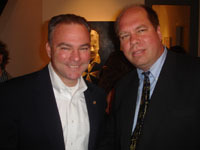 My friend Barney Pell, invited me to see Tim Kaine, head of the DNC and former Virginia Governor. It was an informal summit for Silicon Valley entrepreneurs. Former California Governor Gray Davis at our Citris Center opening at UC berkeley. I was thrilled when he asked me for my business card. 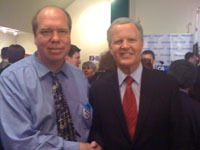 Here I am with Tom Campbell. 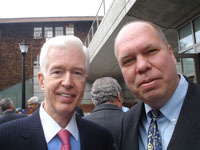 He was our Congressman from 12th District and UC Berkeley's dean of the business school. Dr. Campbell is a fine economist. 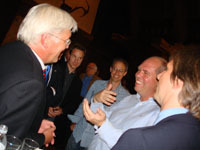 Here is a discussion with Frank-Walter Steinmeier, German's former Foreign Minister and acting Vice-Chancellor. We are discussing alternative energy policy. Sometimes you just happened to be at the right place at the right time. 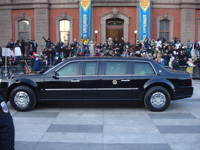 Here President Obama and First Lady just happened to stop in front of me to get out during the Inauguration Parade. 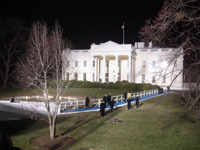 On Inauguration Day I captured the only photos of the President and First Lady entering the Whitehouse for the first time as the First Couple. As your Berkeley City Councilperson I plan to tap UC Berkeley's tremendous talent pool of economist, public policy advisors, technologists and city planners to help with revitalizing our downtown and surrounding areas.